The day you start your Invisalign® treatment is an exciting one. It marks the start of a step-by-step process toward an even greater smile, using one of the best invisible braces on the market. As with any change, it will take a little time to adjust, but you will soon be a pro at wearing, cleaning, and removing your new aligners. You may experience some minor pain and gum irritation on day one of wearing your clear aligners, but your mouth will soon become accustomed to them. The process of teeth straightening involves putting gentle but constant pressure on the teeth to be moved, so some soreness is possible when a new tray is used. What can you do to make your first few days with Invisalign® more comfortable? Dental wax may come from your orthodontist, and it can even be ordered online. This soft and safe substance is designed to cover wires and brackets for traditional braces, but it works well on any edge that feels sharp. Replace the wax daily, or as needed when you clean your aligner. Eat soft foods or liquids if your teeth are sore from the guiding pressure of the aligner. Biting and chewing exercises improve circulation, massage the gums, and serve as a natural pain reliever. Using Styrofoam “chewies” from the aligner starter kit, you can do these exercises several times a day to ensure that your aligners are fully seated. 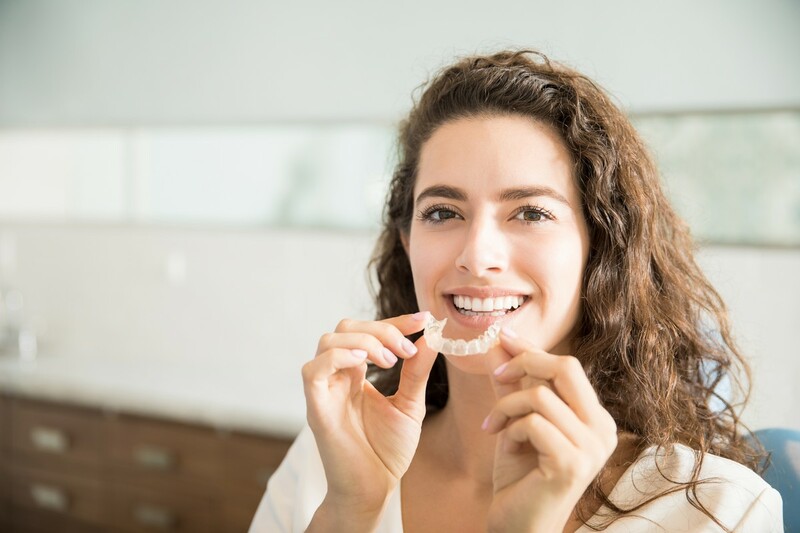 You will be shown how to insert and remove the aligners, but, especially with a brand new and tight-fitting tray, it can be a little tricky until you get used to it. Gently push the aligners over your front teeth. Use your fingertips to push the back of the tray up on both sides. Snap the aligner in place on both back molars at once. Avoid “biting” the aligner into position. Start with a fingertip on the inside of your back molars. Gently pull the aligner away from your back teeth. Slowly work forward with your fingers to free the tray from each tooth until it comes away easily. How Should I Care for My Aligner? Remove the aligners to eat or to drink anything but water. Brush your teeth and the aligner before putting it back in. Wear your aligners 20-22 hours per day. What Other Things Will I Notice? You might notice that your speech is affected at first, making it difficult to say certain words or causing a slight lisp. This is normal and will disappear quickly with practice. Finding the best orthodontist available helps make the process of improving your smile fun and easy. At Labbe Family Orthodontics, we treat you like one of our family. We bring happy faces to all ages with orthodontics focused on an enjoyable patient experience. Schedule an appointment today at one of our convenient locations in Annapolis, Bowie, Greenbelt or Crofton, MD. Most people will do anything to get out of going to their orthodontist. However, only rarely does a healthy, beautiful smile happen all on its own. More often than not, you need to help to give you that million-dollar look— which means you do have to visit the experts. Sadly, some discomfort can occur after an orthodontic appliance fitting and, to many people, especially children, this pain—or even the anticipation of that pain—will prove to be an insurmountable obstacle to having great teeth. It can cause them to skip appointments, to not wear their appliances at the right time, or to neglect their oral hygiene entirely, making orthodontic intervention less effective than it could be. That’s why pain management is so important to us at Labbe Family Orthodontics. We want you and your children to have the very best teeth you could have. We want our patients to be informed, so they know exactly what to expect before, during, and after procedures. We want you to look forward to visiting us. For some simple and effective ways to manage pain after an appliance fitting, read our infographic guide below. To put your smile in the hands of people who really care, call Labbe Family Orthodontics on (443) 603-3448 today. Invisalign braces are a series of customized plastic aligners that fit snugly on your teeth and slowly move them into alignment. For many patients, this clear and removable alternative to metal braces offers a more comfortable solution for orthodontic treatment. Invisalign and other brands of invisible braces improve patient confidence, have no wires to tighten or cause irritation, and can be removed for eating, drinking, or special moments. Brushing and flossing are easy, and the results can be amazing! How are these clear aligners made, and what is the process for getting Invisalign braces? How Are Custom Invisalign Aligners Manufactured? How Is Your Individual Set of Invisalign Braces Created? 1. A consultation and evaluation by an orthodontist to determine if Invisalign is a good option for your teeth straightening. Dentist offices and mail order services do not have the expertise to guide your orthodontic treatment. 2. Gathering all the necessary scans and detailed information to plan the full treatment, including x-rays, photographs, and bite impressions. This information is shared with the Invisalign technicians. 3. A 3-D rendering of your teeth is created, along with a computer model of how each tooth will shift to its desired position. Your orthodontist office will work with the technicians until the planned course of treatment is fully detailed. 4. The full set of invisible aligners are manufactured by an advanced 3D printing process, and the set is shipped to your orthodontist’s office, usually in 3-4 weeks. 5. When your aligners arrive at our office, you will be notified and come in to receive them, along with specific wearing instructions. The office will check that the first aligner fits properly and show you how to remove and care for them. 6. Wear the aligners as your orthodontist directs, usually about two weeks for each one. Regular checkups will help ensure that your teeth are moving as expected and that there are no additional adjustments or refinements needed. 7. You will need to wear a thicker retainer type of tray after treatment, especially at night to maintain that new straighter smile. • They are a fast option for some patients. An adult with invisible braces should expect about 12 months of treatment time, with visible results in about 2-3 months. • Consistently wearing the aligner is crucial to good results. Teeth straightening requires almost constant, gentle pressure to move teeth effectively. • Brushing and flossing your teeth is easier than with metal braces but must be done each time the aligner is removed. The aligner itself also should be cleaned before it is put back in place on those nice, clean teeth. 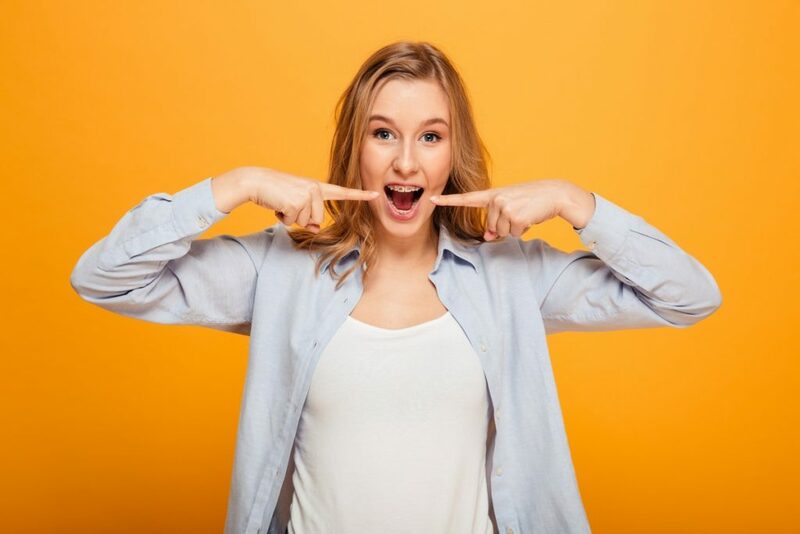 When it comes to finding the right team for your orthodontic services, at Labbe Family Orthodontics we can show you that life is better with a smile! For more than 40 years, we have been bringing the best and brightest advancements to families in Maryland, and we can’t wait to meet you and yours. Schedule an appointment today to take advantage of all the latest treatments in a fun and family-friendly environment. 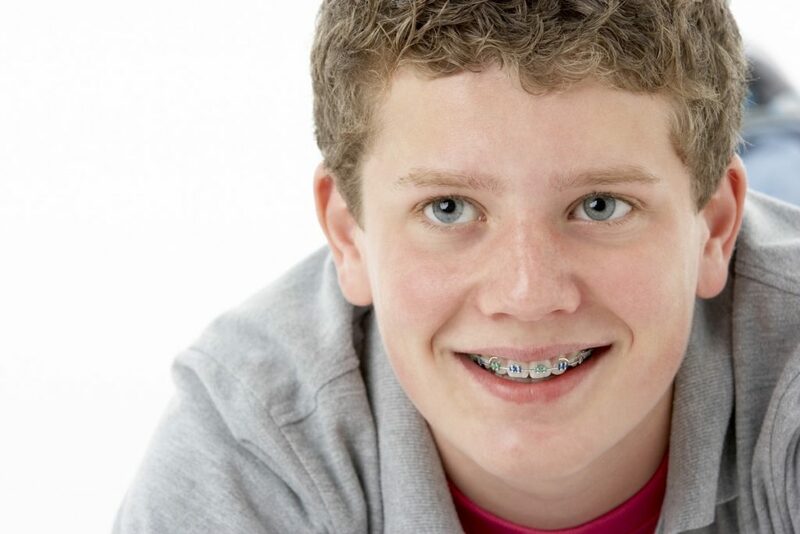 Getting braces for your teeth is a popular way to correct many kinds of orthodontic problems. 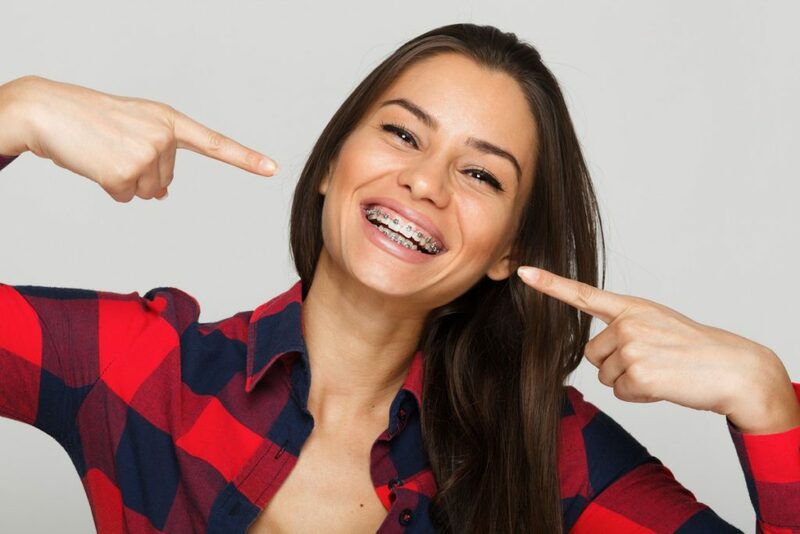 Metal brackets attached to each tooth are connected by wires with tension that straighten your teeth—but how does your orthodontist make sure those brackets stay on? It’s the interesting process of orthodontic bonding. Let’s take a closer look. There are two main types of orthodontic bonding: direct and indirect. Direct bonding involves correctly attaching and positioning metal brackets right onto your teeth the first time. Indirect bonding is when the orthodontist first uses a plaster model of your teeth to position the brackets, and then transfers them to your actual teeth. Braces can’t work unless your brackets stay where they are. To make sure that happens, the surface of your teeth have to be completely dry. This ensures that the bond between your tooth’s surface and the metal bracket will be strong enough to keep brackets where they are in the long-term. Cotton rolls, saliva ejectors, cheek retractors, and lip expanders are all tools that your orthodontist uses to keep teeth dry for the next stage. Next, the orthodontist will etch your teeth using an acidic etching agent. Etching will make your tooth’s enamel rough so that the bonding agent will have a better hold, but don’t worry—the roughening of the enamel is microscopic. Now that your teeth are prepared, it’s time to attach the brackets. There are two types of bonding systems available to attach brackets to your teeth: no mix and two-paste mix. The no mix system consists of a liquid primer and paste. The primer is placed on the etched surface of the tooth and on the base of the bracket. The paste is then applied to the bracket base, and the bracket placed onto the tooth. In the two-paste mix system, two bonding resin liquids are mixed and applied to etched tooth enamel, and two pastes are mixed and applied to the base of the metal bracket before placing it onto the tooth. Once the brackets are placed on your teeth with the one or two mix bonding systems, that bond has to be hardened or cured with a curing lamp. Your orthodontist will use either a halogen or an LED curing lamp, placing it as close as possible to your metal brackets. The higher the intensity of the light, the less time it will take to harden the bonding agent. After that, wires are placed between each bracket, and you’re good to go. If a loved one or you are ready to get braces, Labbe Family Orthodontics offers affordable orthodontic treatment for all ages. No matter which of our locations in Maryland you choose, you’ll always be treated like family. Life is better with a smile; call us at (410) 267-7300 to schedule your consultation with one of our orthodontic specialists today. Adults, children, and teenagers have a wide range of different types of orthodontic appliances they can use to give them a beautiful-looking smile. Determining which appliances are best for you will depend on your own individual orthodontic needs. Each of these appliances will help your child or teenager obtain an outstanding smile while addressing any concerns you have about the development of their teeth. You can also achieve an award-winning smile by using many of the same orthodontic appliances. To learn more about the different types of orthodontic appliances and how they are used, we invite you to continue reviewing the following infographic. 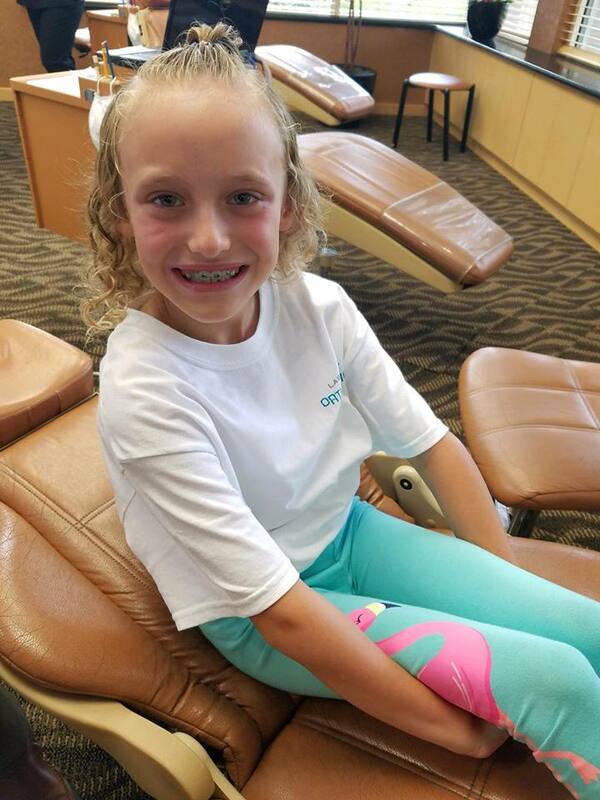 Afterward, if you have further questions or want to schedule a consultation appointment for yourself or your child, please feel free to contact Labbe Family Orthodontics, where “Life is better with a smile.” We offer a fun, family-friendly experience in a relaxed and comfortable environment. 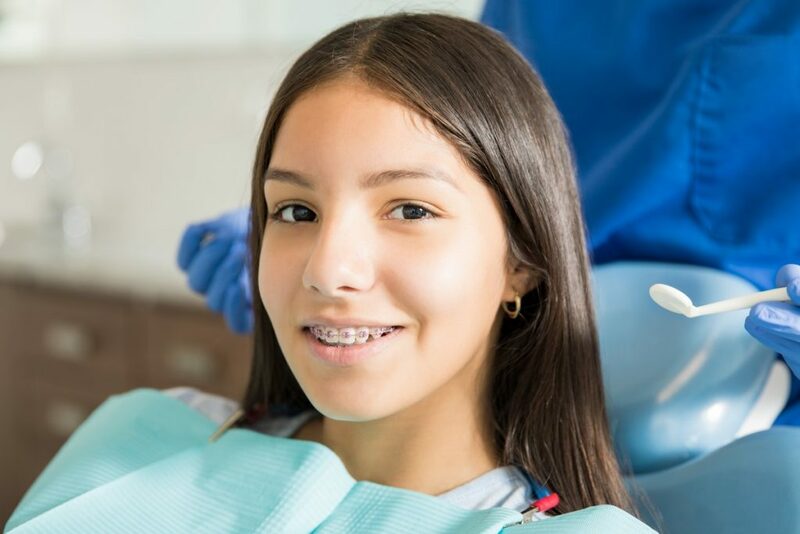 During early orthodontic care when the new braces for your teeth are first applied, you may have some minor discomfort caused by the new appliances rubbing on the soft tissues of your mouth. Until you get used to your braces, there is no need to worry and frown. Life is better with a smile, and you can use orthodontic wax for immediate pain relief! Dental wax is available from orthodontic specialists and at pharmacies, and it is designed to cover sharp or rough edges that might be causing irritation. This substance is soft, non-toxic, and easy to use whenever you need it. If your braces are damaged or become suddenly more painful, reach out to our office for advice, but, for minor irritation and temporary relief, dental wax is a perfect solution. Dental or orthodontic wax is specially designed to relieve pain caused by orthodontic treatment. It creates a barrier which prevents further irritation and allows time for the mouth to heal. It is easy to apply and remove, and is inexpensive to purchase. All in all, it is one of the best treatment options for children and adults who are adjusting to their braces. What Is Dental Wax for Braces Made From? All formulations of orthodontic wax include natural, non-toxic waxes. Some may contain a percentage of carnauba or beeswax, or might have an added flavoring. Most contain paraffin and are tasteless. They are designed to be firm at room temperature and pliable at body temperature. Wax is completely safe if swallowed in small quantities. • Begin by washing your hands and brushing your teeth where you will apply the wax. • Break off a piece of wax the size of a small pea and roll it between your fingers until it is pliable. • When the wax is a soft ball, flatten it slightly and press it over the point of irritation. • Remove it using your fingers or by brushing it off with a toothbrush. Do: Replace the wax as needed. Don’t: Reuse the wax or keep a single piece in place for more than two days. Do: Eat soft foods and drink liquids with the wax in place. Don’t: Keep wax in place if food becomes stuck to it. Do: Keep the wax in place overnight. Don’t: Worry if you swallow it while sleeping or eating. Do: Contact your orthodontist if the pain persists or comes on suddenly. Don’t: Try to fix, bend, or repair wires or brackets by yourself. Making your transition to a better smile smooth and pain-free is important to us at Labbe Family Orthodontics. While some discomfort is normal with early orthodontic care, these specialized dental waxes offer immediate relief until your mouth becomes accustomed to your new braces. At our family orthodontics practice, we truly treat you like one of our family. We do everything possible to make the process pleasant, enjoyable, and exciting. Smoothing the path to your perfect smile starts with a caring, compassionate team that is committed to your healthy and happy future. Give us a call today and let us make you feel comfortable! Do you have a malocclusion? If it sounds scary, don’t be alarmed. All a malocclusion means is that your teeth are not properly aligned. How can you tell if you have a malocclusion? There are several signs, including biting your tongue and inner cheeks, breathing through your mouth instead of your nose, or developing speech issues like a lisp. There’s no one single cause of a malocclusion. If you suspect you have one, the best thing to do is visit an orthodontist. 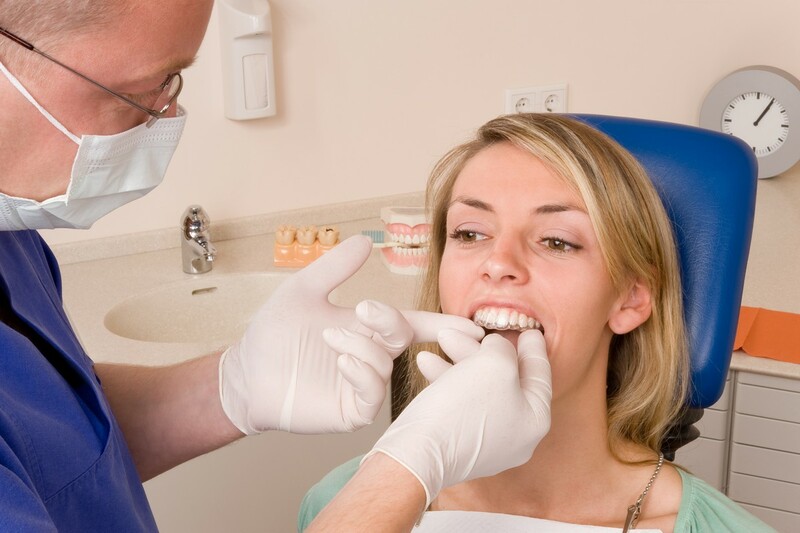 He or she will take dental x-rays and determine whether or not you have a Class 1, Class 2, or Class 3 malocclusion. If you do have a malocclusion, the orthodontist will determine the best treatment for you based on your age, medical history, and overall health, among other things. Braces are the most well-known treatment, but you could get your teeth capped or reshaped. Your orthodontist might even suggest surgery to reshape your jaw. Orthodontic spacers (or separators) are often used for braces by creating space for fitting dental bands. Elastic spacers are the most widely used, although sometimes metal spacers are required for advanced orthodontic care. They are common in the early phases of treatment and are sometimes needed later to make small adjustments in tooth alignment. Creating enough space for a perfect fit allows your braces to work effectively and quickly to create your ideal smile. If you have orthodontic spacers or are about to have them inserted, there are a few things you should know about the process. How Do Orthodontic Spacers Work? Spacers are placed between the teeth in a simple office visit, as the first step in fitting braces for adults and children. The small elastic rings are threaded onto a piece of dental floss and slipped into place, and then the string is removed. The spacers create pressure that moves the teeth apart. Spacers or “orthodontic separators” are also a useful treatment option for certain dental conditions, including management of ectopic teeth (which erupt abnormally), and for moving molars into an upright position.1 These temporary appliances have many uses in the skilled hands of your orthodontist! How Long Will I Wear My Spacers? Most often, you will wear your spacers for about 7-10 days, immediately before the appointment when your braces will be fitted. In some cases, you may need to wear the spacers for the entire length of your orthodontic treatment, and, sometimes, they may even replace metal bands. When it is time to remove the spacers, your orthodontist slips them out and immediately cements a metal band in place to anchor the wires of your traditional or ceramic braces. If spacers are part of your ongoing treatment, they may be replaced or adjusted to keep your teeth moving in the right direction. How Should You Care for Orthodontic Spacers? For the first 2 or 3 days after your spacers are placed, you will probably have some discomfort. If your teeth are sore, eat a soft diet and take over-the-counter pain medication, especially at bedtime. Eating or drinking cold things may help numb your teeth and gums. Continue brushing and flossing, but do not floss between teeth with spacers. Do not pick at the spacers with your fingernails or toothpicks. Avoid eating sticky foods that might pull the spacers out. Reduce plaque and support your oral health by avoiding foods high in sugar and starch. As the spacer completes its purpose, it may become loose and fall out on its own. If it happens less than two days before your next appointment, there is no need to worry unless you have been given other instructions. Even if you swallow the spacer, there is no reason to be concerned. If spacers are part of your teeth straightening program, your orthodontist can even show you how to easily replace a spacer at home. The most important factors are to follow the instructions for your own individual treatment program and to work with a team that understands your needs and treats you like family. Here at Labbe Family Orthodontics, we offer more than professional and effective orthodontic services. We know that life is better with a smile and want to help you and yours smile more confidently and more often as part of our extended family. We believe working together toward your perfect smile should be a fun and exciting experience. We look forward to meeting you and your loved ones, so contact us today in Annapolis, Crofton, Bowie, or Greenbelt, and we will help you make space for more smiles tomorrow! 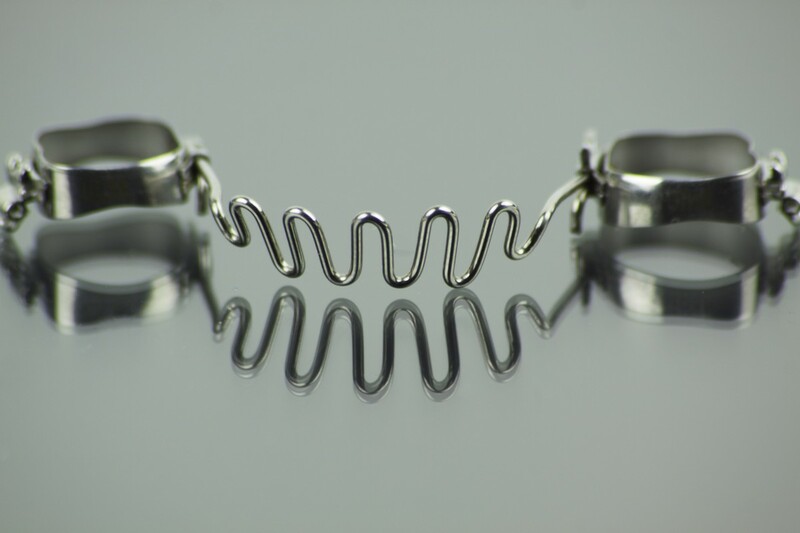 An orthodontic band is made of stainless steel and wraps entirely around a tooth. Bands may be used only on back teeth or can part of a full set of metal braces. They provide a very durable and solid connection point for major corrections and headgear. What Are the Advantages of Dental Bands for Braces? 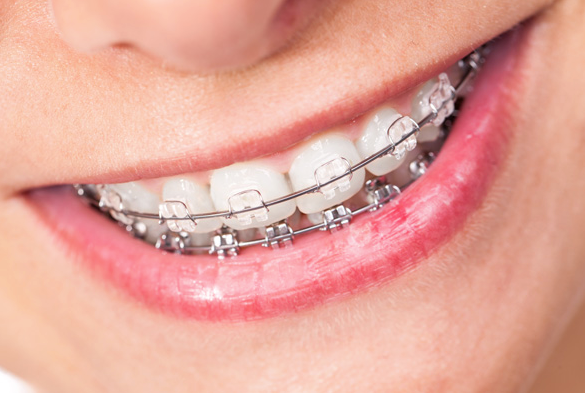 Orthodontic bands are stronger than bonded brackets and have a lesser chance of becoming loose. They allow orthodontic treatment to progress faster and straighten teeth more effectively for some people. While clear ceramic brackets are less visible, they can be used in combination to keep an almost invisible appearance on the front teeth while leveraging strong support in the back. The orthodontic care process for installing fitted bands consists of two appointments. A dental impression of your teeth might be made to determine sizing. At the first appointment, spacers are inserted to create a gap, which allows the bands to be fitted and secured at the second appointment. • Your orthodontist will insert elastic separators between the teeth, which will receive bands and determine general sizing. • A week or so between the appointments allows the teeth to move apart slightly. Avoid flossing and eating sticky foods during this time. • The separators are removed at the next appointment. The bands are tested for size and adjusted as needed. When the fit is perfect, your teeth are polished and the bands are secured with dental adhesive. • The bands stay in place for the duration of your orthodontic treatment, connected with wire and/or brackets, creating the gradual movement that straightens your teeth. Orthodontic bands on teeth are very secure, but they are not permanent. They can become loose if too much pressure is placed on the tooth. Because bands completely surround the tooth, brushing and flossing are especially important to prevent decay. • Avoid biting down on ice, popcorn kernels, or hard candy. • Stop chewing pens and pencils. • Stay away from sticky caramels, chewing gum, and toffee. • Use a night guard if you grind your teeth at night. • Avoid whitening toothpaste, which may leave dark spots on bands and brackets. • Call your orthodontist immediately if a band becomes loose or slips off. When you need orthodontist information you can trust, visit with us at Labbe Family Orthodontics. Our caring team has expert experience and a compassionate touch. We treat you like one of the family, and we can’t wait to help you choose the best braces for you and your loved ones—because life is better with a smile! Give us a call today in Annapolis, Bowie, Crofton, or Greenbelt, and let’s start banding together! Want to Improve Your Wellbeing? Smile More! You already know you smile if you feel happy, but did you know that smiling can actually make you feel happy, too? Psychologists have tested this theory and found that subjects who smiled more, even inadvertently, felt happier than subjects who frowned. Every time you smile, the brain interprets it as getting an award. Smiling also releases three types of “feel-good” chemicals— endorphins, dopamine, and serotonin. Each of these acts on the “happy” parts of the brain, allowing you to feel more relaxed and less anxious. It’s also pretty good for your heart and blood pressure. Smiles are always better when they are delivered with straight teeth. Of course, straight teeth offer many more advantages than just a pleasant smile. If you don’t have a smile you like, visit Labbe Family Orthodontics. They offer many ways to straighten your teeth, including ceramic braces, Invisalign, and even surgical orthodontics. To find out more information about the benefits of smiling and getting your dream smile, read the following infographic.